In Latin, “Advent” means “coming.” In the Episcopal lectionary, “Advent” means “Time to read some Luke!” Advent is the Season of Luke, for which reason, we are launching The Gospel of Luke with John Lewis For Individuals and For Groups. John Lewis is co-director of The Workshop, a Benedictine learning community in San Antonio whose vocation is to help Christians learn to use the Bible to change their lives and communities. He has a Ph.D. from Oxford University focusing on New Testament theology, and he leads many classes and retreats that focus on helping Christians understand and utilize the Bible in their daily lives. In this class, Dr. Lewis offers information about the man who wrote the Gospel of Luke, the audience to whom the author was writing, and his reasons for writing this Gospel. Dr. Lewis also discusses important themes in Luke and offers valuable guidance about how to read Luke’s Gospel productively. As we enter the Advent season, we hope that you use this class to help you approach the readings that you will hear and study with greater understanding. In the past two years, we have seen our mission thrive to bring online Christian learning opportunities into parishes across the nation. We believe that what we do gives people the tools to deepen their understanding and their spiritual lives. Watching you use these tools, ask questions, share ideas, and grow in spirit and learning gives our work its meaning and purpose. Today, we thank God for those of you who are instructors, whose wisdom offers light in a world that can sometimes seem very dark. We thank God for the technology, and the people who create it. They offer such unheard-of opportunities for learning and growth. And most of all, we humbly thank God for you, the Christians who work alongside us, sharing your ideas, exchanging information, working together to grow in understanding of God, God’s creation and one another. A blessed Thanksgiving to you and to those whom you love. Today, as individuals, families, and congregations prepare to experience Advent, we are launching anew Introduction to Advent with Tim Schenk For Individuals and For Groups. The creator of the extremely popular Lent Madness devotional and writer of Dog in the Manger: Finding God in Christmas Chaos, one of Tim’s great gifts as a priest is helping Christians experience church seasons with energy and devotion. His class is a great resource for people who want to experience a holy Advent. Advent can be tricky. We want to wait with Mary, look at the stars in wonder with the wise men, hold our breath in anticipation of the miracle that we know will come to Bethlehem. At the same time, parties and parades go on around us and the temptation to spend, spend, spend meets us every time we step out the door or take even the tiniest peek at the internet. How can we reconcile a holy Advent with the holiday season? Tim has some thoughts on this point and some excellent guidance on Advent in general — why we do what we do in church; how to focus our energy on participating in these rituals of waiting for Christ’s birth. As you consider how you will experience this unique season in your home and in your church, consider using Tim’s class. If you would like to learn more, please enjoy this preview. On Sunday, we launched Advent: The Most Wonderful Time of the Year for individuals and for groups. 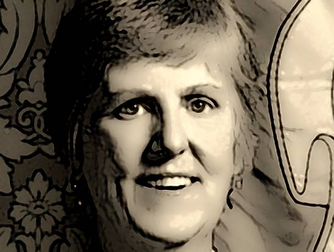 In this class, Bishop Susan Goff, bishop suffragan of the Diocese of Virginia, recommends taking some time every day to pray for the coming of Christ. Today, I would like to offer some suggestions for online resources that might help you take those few minutes every day to pray during the Advent season. As you consider how you wish to reflect on Jesus’ coming this Advent, you might consider incorporating these resources into your plans. short reflections, and prompts for prayer. Personally, I have found this resource to be particularly helpful in getting me away from the world’s business and focusing my mind on prayer. If you find it useful to orient your prayers around daily meditations or reflections, Upper Room Ministries offers Upper Room Daily Reflections, each of which includes a short reflection and then offers prompts for prayer, readings from scripture, and reflections on a saint, which users can utilize as they wish. Users may choose to participate interactively with others or alone, and may, if they wish, sign up to have the reflections sent to them every day through email or download the Upper Room Daily Devotional app. The Forward Movement also offers Forward Day By Day, which includes daily reflections, links to readings, and links to information about saints and prayers related to saints’ days. I hope that you find these resources useful as you prepare to experience the anticipation and hope of the Advent season. To find out more about what Susan Goff offers in Advent: The Most Wonderful Time of the Year, please enjoy this preview of the class. Today, we launched Advent: The Most Wonderful Time of the Year with Susan Goff for individual study and for groups. As I write this post, I am sitting in a coffee shop that is playing Christmas carols a week and a half before Thanksgiving and two weeks before the beginning of Advent. If people bemoan the start of the holiday season inching earlier every year, what about people who try to experience a holy Advent? On the one hand, we prepare for and anticipate the coming of Jesus into our midst at Christmas time. On the other hand, we have already been nudged toward a Christmas activity buzz for two weeks before Advent even begins. In this class, Bishop Susan Goff of the Diocese of Virginia offers guidance on how to experience a holy Advent in the midst of holiday season frenzy. She offers ways of thinking about the coming of Christ in three tenses. We anticipate the birth of Christ in the past, the coming of Christ into our daily lives in the present, and Christ’s return to us in the future that Christians anticipate when we pray for God’s kingdom to come to us here on Earth. Bishop Goff also offers specific devotional practices to help us anticipate the coming of Christ during the Advent season. To get a sense of what Bishop Goff offers in this class, please enjoy this preview. Three ingredients go into creating a great learning experience: an inspiring subject, a wise instructor, and most importantly, student energy and ideas. Today, we are going to highlight student comments from How to Be a Crazy Christian with Michael Curry to show just how greatly student input adds to the learning experience. Here, please read students’ insights, experiences and perspectives on being a crazy Christian. Nearly 30 years ago, my husband returned to school to become a full time United Methodist minister. Our income went from about 35,000 dollars a year to 13, 000. We had 3 teenage children, left our 4 bedroom home on 27 acres of wooded land in upstate NY, and entered the unknown. Certainly in the world’s terms that seems crazy. Yet the call to my husband to pastor Christ’s people support life long Christians and drew many others into a relationship with Christ. As his wife I left home and friends and familiar Christian community, but discovered home is where you make it and there were many opportunities to learn that God does provide abundantly for those who love him. I think the world already thinks that Christians are crazy, but not for the same reasons that Bishop Curry is talking about. In fact, many of the sins he listed as ones that the world might list for the Church (bigotry, etc. – think Westboro Baptist and the like). I believe that we need to get back to that Jesus/scriptural kind of crazy. I guess we will just have to be the other kind of crazy as a counter! When I started talking about trying to live out the Gospel, some in my family thought I had joined a cult. It was a foreign concept to them, and easier to conceive of stereotypes than engage me. Over time, most came around, but it took a lot of love and patience. Many came to trust in my transformation by watching me over time. It’s easy to focus on what we think we hear from God, which is often self-focused. Crazy is discerning God’s call for us to bring the Gospel into our daily life and live it. We work for God, so it’s necessary to take a stand …When I’m in the checkout line, if i am so consumed with my time and getting my things together that I can’t acknowledge the person who is serving me at the cash register with a smile or a kind word, then I am not living a life of Christ….If I don’t put myself outside the parish walls and use my unique talents to help others, then I am not living a life in Christ. if I find myself in a work situation where I know abuse is occurring and I don’t stand up and question what I think I see, even if it costs me my job, then I am not being a crazy Christian. Congratulations to the new Presiding Bishop of the Episcopal Church, Michael Curry. To celebrate we’re inviting you to take his online class, How to Be a Crazy Christian with Michael Curry. We’re re-launching it because, whether you take the class on your own or take the one formatted for groups with other people, you will get a lot out of this class. It’s one of the most popular classes that we have ever produced. We love this class. You love this class. Congregations love this class; it has formed the basis of many adult formation classes and classes introducing the Episcopal Church to new members. But the main reason that we are launching it again because we want to celebrate with you Michael Curry’s installation as Presiding Bishop of the Episcopal Church. 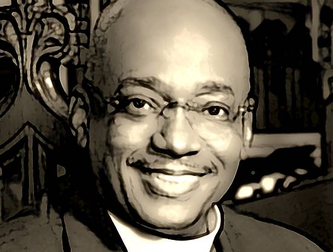 The historical significance of his installation is worth celebrating in its own right, but we also rejoice in Michael Curry’s exciting ideas about where the Episcopal Church should go and his powerful ability to move people to embrace his vision of what the church can be. So it seems like a great time to re-introduce you to some of Presiding Bishop Curry’s ideas about what it means to be a Christian in the twenty-first century — what the serious, joyful, crazy business of acting as Christians means in today’s world. Take How to Be a Crazy Christian with Michael Curry and learn even more reasons to celebrate his installation as Presiding Bishop. To find out more about the class, please enjoy this preview.